Does Your Office Furniture Need an Upgrade? Signs that you need something new: You have been in business since the 80’s and have never purchased office furniture. If your business has been around for decades and you haven’t upgraded, now is the time to do just that. You have been in the same office for many years: If your business has been in the same building for numerous years, you may want to upgrade as a way of sprucing up the place. You are moving your office to a new location: when moving to a new location, it usually comes with a fresh coat of paint, and a beautiful atmosphere. Why not add to the new place with some new furniture to set the mood just right. Finally, by replacing your worn out office furniture, you will be sure to impress your clients and maybe even gain some new ones. An upgrade comes in may different styles. 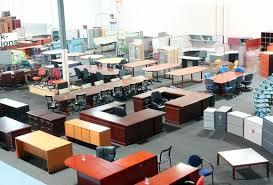 You may choose to buy all new office furniture, or maybe you will upgrade with used furniture. Whatever your budget calls for, an upgrade will be a great investment. For questions, or assistance in upgrading to some new or used office furniture, please contact us. We would be delighted to assist you in any way you need. Anyone with a cramped office space with barely enough room to stand in might just think about standing while they work as an option. Its modern design not only looks great in any home or office, but also has a wide working area for the smallest working spaces. Standing desks easily adjust from sitting to standing in seconds, without having to deal with tedious cranks, or hazardous electric standing desks with inconvenient cords to have to deal with in a cramped office. Portable Accordion Room dividers come in all shapes, sizes, colors, designs, and prices. They are a great way to give a one room office with two workers sharing a small room some privacy and boundaries. These products are innovative and accommodating to any small office’s needs. They are portable and can be used for private conferencing/meetings. Portable Accordion Room Dividers allows the user to control what the person on the other side of the video teleconferencing line sees – Adding professionalism and privacy. They can be made of cloth, plastic, wood, and fit any decor and price range. They are a great way to add versatility and portability while giving employees their own designated working areas, without the old fashioned set cubicle. Even the most cramped office space has to have at least one free wall to utilize. By installing Floor to Ceiling Shelving, solves all the clutter of a small office by consolidated it into one area. Just think about it – One stop shopping for all the usual scattered assorted office tools, manuals, catalogs, work samples, etc. Organized and exactly where you know to find it. Floor to ceiling shelves are not just for the library, or millionaire’s closets. 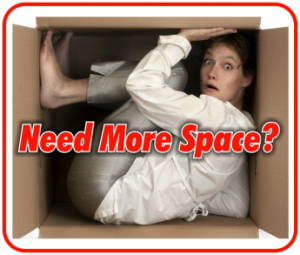 They are an efficient way to open up vitally needed space in a cramped work or home office. Costs vary depending on materials used, layout plans, and square footage. The cost is well worth the extra space it opens up in a cramped working area, not to mention the peace of mind it delivers in repelling clutter. Some people may not be familiar with Ceiling Storage Hangers, it sounds like stashing your clutter away in your false ceiling, which I’m sure has been contemplated by some in desperation. Ceiling Storage Hangers, hang from the ceiling of course, and look like an upside down table that someone affixed there, but they are an efficient and cost effective way to utilize unused space. People are more familiar with these Ceiling Storage Hangers in their garage, but there are certainly no laws about utilizing their convenience and low cost solutions to storage in a small office environment. Mounting your computer monitor with an adjustable swinging bracket instantly solves numerous working area space problems on your office desk. Just think how much extra room you would have to work with if that computer monitor was out of your way and hanging conveniently still in full view. An added plus is that it then becomes adjustable and can be brought in closer, or set away when not in use, giving you plenty of room to spread work out across your desk. They are cheap, easy to find online and any modern flat screen TV has the capability to be both mounted with universal swinging brackets, and computer compatible. Hello modern office world – Goodbye old clunky in the way bulky computer monitor taking up half the space on your desk. 6 – Recessed Stackable Filling Cabinets. Does your cramped office space have an equally small closet or alcove, waiting to be put to better use? Why not consider turning it into a Recessed Filling Cabinet. By taking closet doors off the hinges of an underused closet, one can purchase economical, stackable, and smaller filling cabinets in order to open up more room by removing those in the way old giant metal filing cabinet monstrosities. The best part about stackable filling cabinets is that they come in all shapes, sizes, colors, elegant or just plain cheap plastic that does the trick. 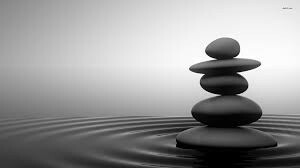 This allows a great amount of flexibility both design wise, and financially. They are easy to transport and install, and a great way to get bulky office furniture out of your way. Recessing your filling situation is a great way to open up a small office area and give a great stylish and professional look to it, at an economical price. There are plenty of imaginative and innovative ways to turn that small office area into a clutter free, stylish and modern efficient working space. It is also not as expensive as one thinks. Whether it is appeasing your cramped office employees at the workplace, or pleasing yourself in a small home office in order to make your workspace more workable. The costs and efforts are well worth it in the long run, for both you and your workers. There are plenty of benefits of purchasing used office furniture aside from cost efficiency. If you are a start-up business with a low budget and minimal needs, used office furniture will be a great asset for you. This post will discuss four reasons why it is a good idea. 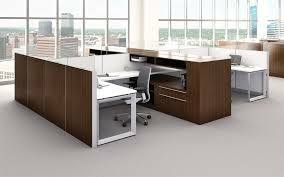 If you are purchasing used office furniture that has withstood extensive use in the past and it is still in good condition, you will know it will remain in good condition when it is furnishing your office. When you buy low-priced, used furniture, chances are you can have it delivered in a matter of days, if not the day of purchase. When purchasing brand new furniture, you could end up waiting 6 to 12 weeks just to produce it. So for those of you know need office furniture immediately, used it the way to go. Good quality, used furniture is a wiser investment than cheap, new furniture. New furniture will likely depreciate to 25% or less of the initial price whereas used furniture’s value can actually go up. When you choose to resell it after use, the value could actually increase to 75%. This is the most obvious reason to purchase used furniture, but possibly the most important. When buying used, you could end up paying 75%-85% less than the original price. This makes overlooking a scuff or two and paying attention the the quality well worth it.